Welcome! 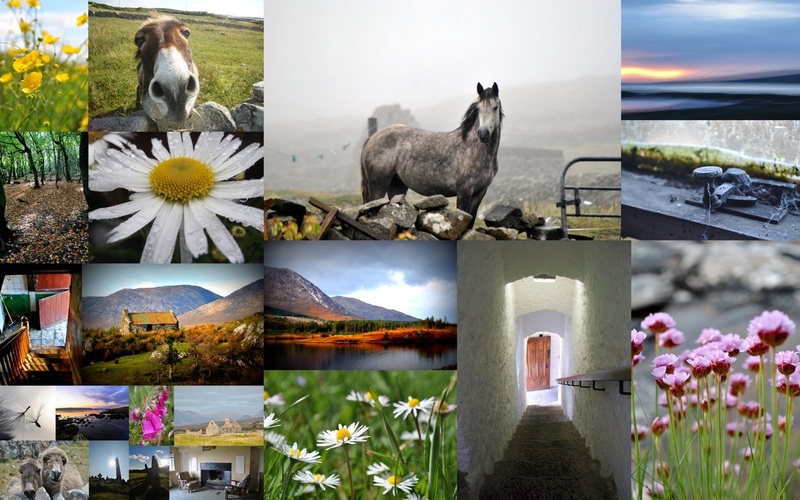 My name is Muireann Ní Cheallacháin and I am an archaeologist and amateur photographer. I was lucky enough to have grown up in the beautiful region of Connemara in the west of Ireland. I absolutely love taking photographs of the ever changing Landscapes and seascapes as well as the beautiful Flora and Fauna we are lucky enough to have in Ireland. I am also very lucky to have travelled to some gorgeous countries with my trusted Nikon! I love all the scenes,colours, textures and moods that can be found in everyday life. I hope you enjoy my photographs and find one that would look great in your own home or as a gift for a loved one. I also sell photo greeting cards. If you drop me an email on my Contact Me page, I can change the size of any print or add custom text to any photo greeting card. All Photos are printed on Matt Fuji film crystal archive paper, developed to be fade resistant up to 60 years. Signed on the back by the artist. All Cards are printed on high quality glossy 350 gsm card and are packaged in a clear archival cello bag. I don't prepare the photograph/card for shipping until payment has been received in full. At the moment I only accept PAYPAL as a means of payment. Postage and Packing is included in the price. After payment is received the photograph/card will be prepared for shipping and this may take 5-6 days. For domestic orders shipping may take an additional 3-4 working days and for International shipping this may take at least 7-10 working days. All Photos are shipped in a board back envelope or a cardboard tube, depending on print size, to ensure your print arrives in perfect condition. All cards are shipped in a padded envelope. I ask for your patience with shipping times, especially international shipping but if the photograph/card has not arrived after a month I will fully refund you or send you a replacement photograph/card if you prefer. If the photograph/card arrives in a damaged state please return it to me within 14 days and I will again fully refund you or send you a replacement photograph/card and I will fully cover the shipping. If you would like any image printed at a different size, wholesale enquiries or custom orders please send me an email using the Contact me tab. All images on this website are the property of 12greengiraffes and cannot be reproduced without permission.